The president has not reacted yet. 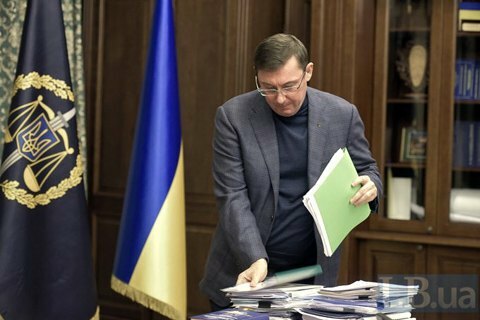 Prosecutor-General Yuriy Lutsenko has handed his resignation letter over to President Petro Poroshenko, Lutsenko's press secretary Larysa Sarhan has said. "Yes, he has handed it over," she confirmed. The president has not reacted to this yet. An activist, volunteer and Kharkiv city council employee, Kateryna Handzyuk, died in hospital on 4 November, three months after she was attacked with sulfuric acid. Five suspected attackers have been detained. However, the masterminds of the murder are still unknown. On 6 November, law enforcers reported in parliament on the progress in the case. Lutsenko said there was a leak to the press which derailed the investigation. At a meeting with MPs, he vehemently insisted that he would resign if they decide to form an ad hoc investigative commission on Handzyuk's case.